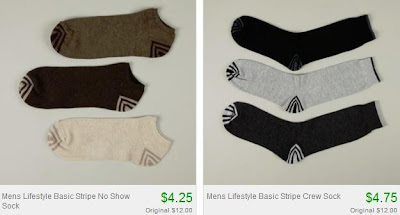 3 Pairs of Men's Skechers Socks only $4.25 + 10% Off or Free Shipping! Hurry over to Totsy to score 3-packs of men's Skechers socks for only $4.25-$4.75! There's lots of different styles and colors to choose from.